Ceau (pronouced /sō/) Natural Cosmetics is a brand created from natural products for a natural look. Using sustainable, environmentally and skin friendly ingredients from nature that accentuate the natural beauty we all have inside. Our color pallette is derived from the natural ingredients we use and further inspired by the different seasons and climates these ingredients come from. Our lines are split into 4 distinct seasons that represent different climates. Our Fall Collection consists of a mixture of warm and slightly dark colors similar to those that you would find on a brisk yet sunny fall day in the NorthEast. Our Winter Collection consists of cool and dark colors similar to what you would find in the snowy mountains of Colorado. Our Spring Collection consist of a mixture of cool and warm colors that are a bit more lively, symbolizing new growth. The colors would be similar to what you would find on a slightly cold and slightly warm spring day in the New England. Our Summer Collection is all about being alive and hot. Think a tropical island during the summer. Hot sand, golden tans, frozen drinks and blue water!This collection is full of warm and bright colors. 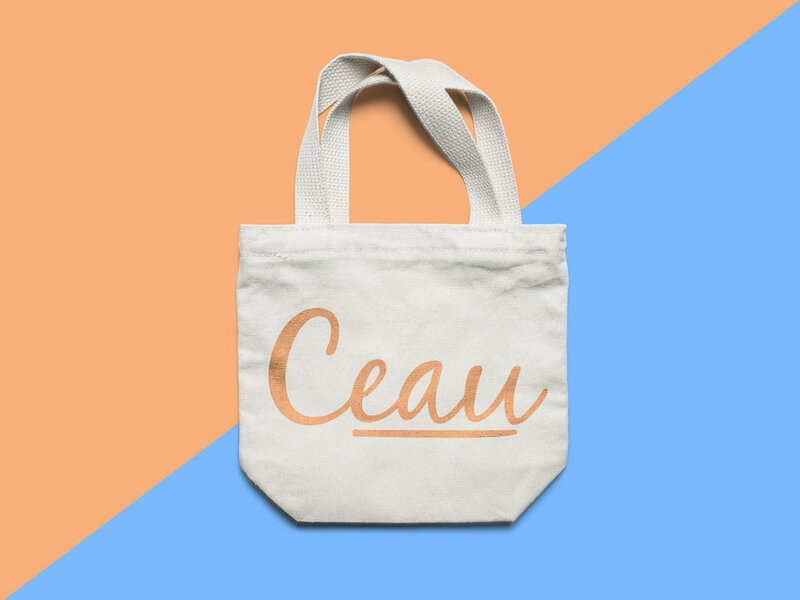 CEAU (pronounced SO) Natural Cosmetics is a brand concept I developed based off my name and and the first initial of my sister. I created and refined a hand drawn logo, brand guidelines, banner ads, Facebook page, Snapchat filters for in-store events and acessorie designs.